One of the commonest notions people have about the game is that the wheels of land based roulette or online live roulette are biased. The case is not true for virtual roulette whose outcome is driven by a random number generator RNG. A mechanical roulette wheel contains a few inherent imperfections that over time tend to bias certain numbers over others. If you are able to work out the bias, you get an edge. And once you acquire a roulette edge, you will be able to figure out the statistical distribution of the outcomes more accurately. If you at all require to figure a wheel bias, you will need to monitor at least 5000 spins to have a robust sample. However, it is improbable to discover a bias on the even money bets (even/odd, red/black etc). It is likely that you'll find a bias on a certain group of numbers. Of course, the house will want a bias that increases its advantage. 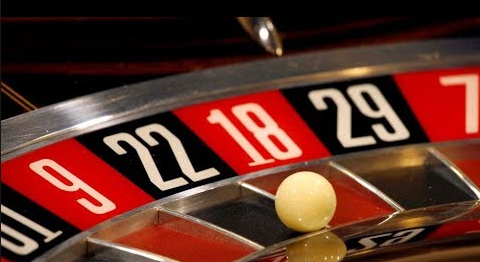 The edge on roulette relies on 37 to 1 odds for every number. If certain numbers crop up often, and someone holds on to that number, the casino loses money. If you can spot a bias, that involves registering outcomes on an individual wheel over a long period, something that casinos watch out for, as if you are fervidly writing down outcomes on paper. Usually, casinos ensure perfect quality of the wheels as much as possible, and imperfections either almost impossible to spot, or reduce the house edge by a tiny amount. In a nutshell, the house always has an advantage, and you cannot therefore monitor the wheel in practice. Another method of determining a flawed wheel is by looking out for the dealer signature. Individual roulette dealers may have been spinning the ball for so long that they have developed a particular style and speed that is not entirely random. This could result in some numbers coming up more often than others, especially if the dealer releases the ball at a particular point during each game. You require at least 5000 spins to determine any specific pattern, so go slow before trying to make your fortune on the wheel.